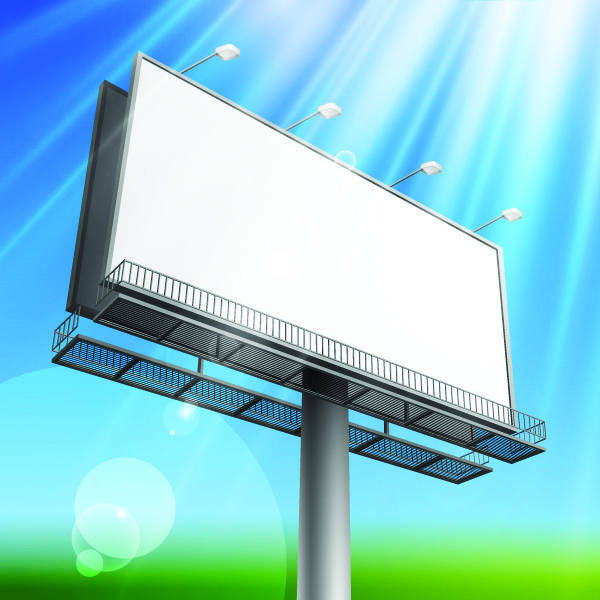 Billboard advertising is one of the effective ways to advertise a product or service. It is relatively costly which is why the concept should be highly effective. Like any design product in the market, it needs to go through planning first, and the advertisers need to see a prototype presentation before it’s placed out there. If you happen to be an advertiser or graphic artist for a marketing firm, our list of creative billboard advertising designs may just be what you need. This list is available in PSD and Vector EPS formats which will enable you to edit or customize and print it. Another form of effective advertising is truck advertising, which we also have for you in our Truck Advertising listing. So, check that out as well! 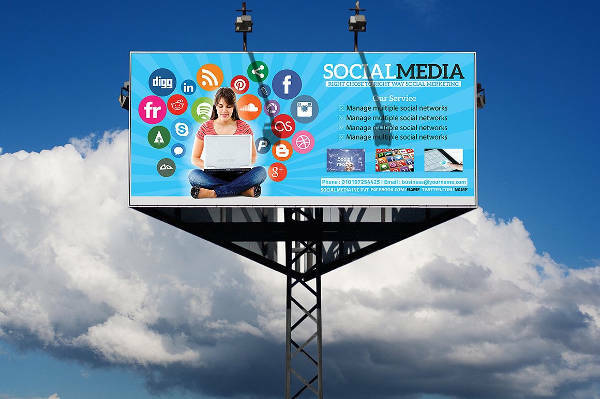 If you want to advertise your social media connections to further your marketing, you can refer to how the “Social Media Billboard Advertising” is created. You may use this to propose to the team as well. 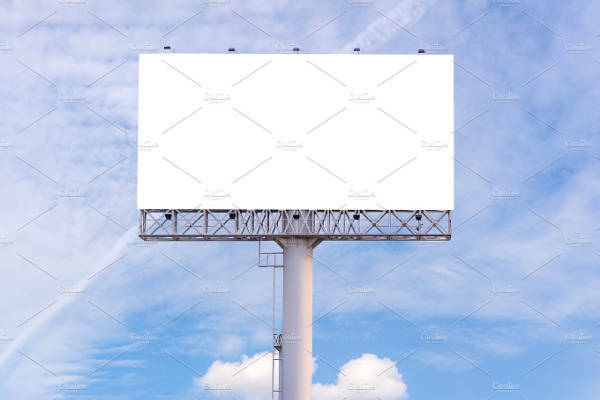 So, you guys have finally come up with an ad campaign and you want a digital visualization of it, we suggest you use the “Blank Billboard Advertising” or the “Outdoor Advertising Billboard Design” for that specific purpose. Are you looking for a sample advertising billboard that’s eye level for easy reading? 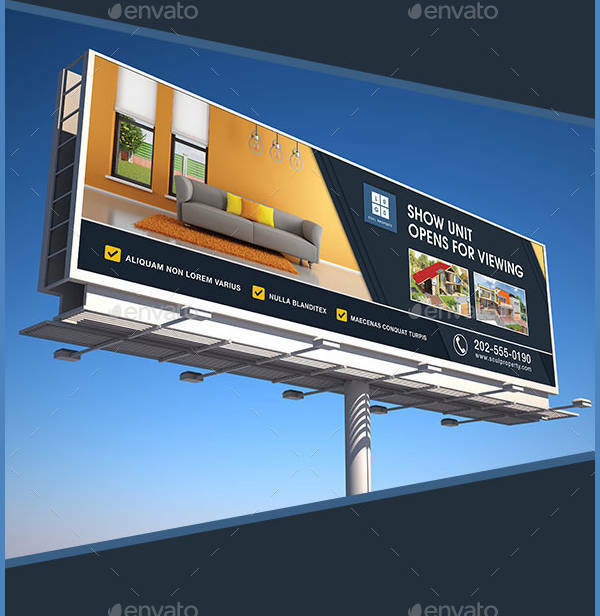 The “Street Billboard Advertising” or the “Roadside Billboard Advertising” are the best template samples for that. The real estate advertising have to be visually effective. With one look your audience or viewers should automatically understand the message. Refer to our “Real Estate Billboard Advertising” and use it as a template for your own. 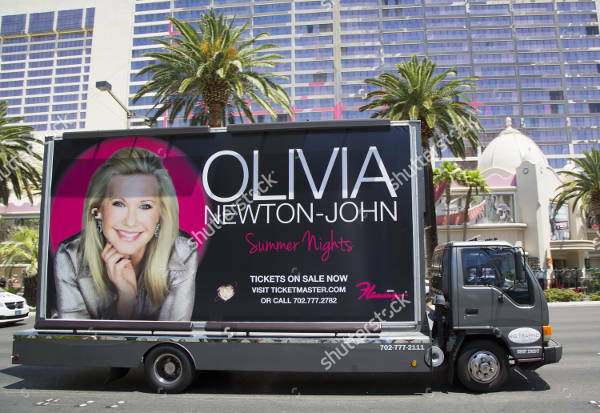 There’s also another way of billboard advertising, and it’s called the billboard truck, it’s a moving advertising billboard that can be seen wherever the vehicle goes. 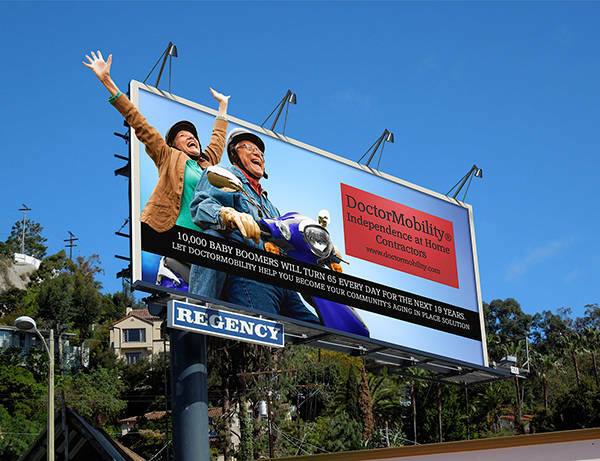 Take our “Billboard Truck Advertising” as an example you can refer to for your own design ad. 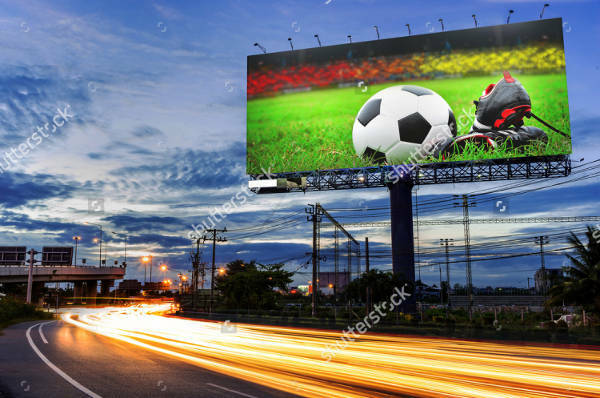 Because a billboard’s size is adequate or sometimes more than adequate in size and usually placed along highways and busy streets surely, masses of people will see it. Unlike the television and magazines, people can’t flip the pages or change the channels. Therefore, they’ll be exposed to the material alone and regularly and it will most likely stick to their minds. 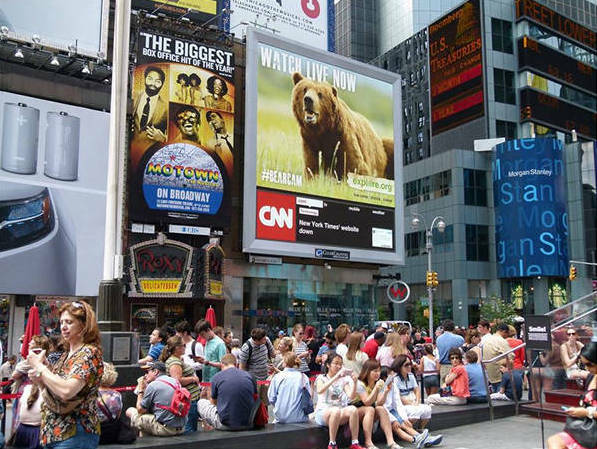 A billboard can be placed wherever you want and feel like it can make a great impact. 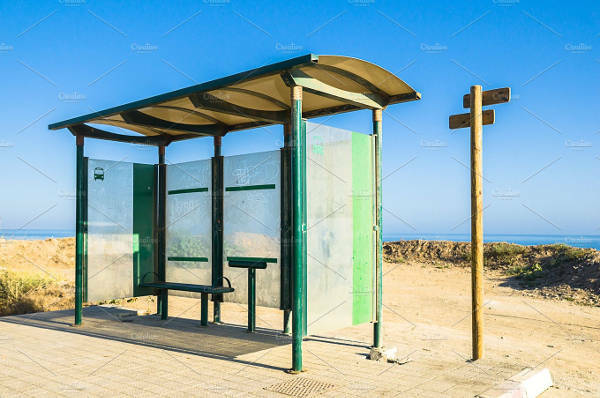 You can consider placing one in rural areas where people are difficult to reach out to, like in the countryside or provinces. 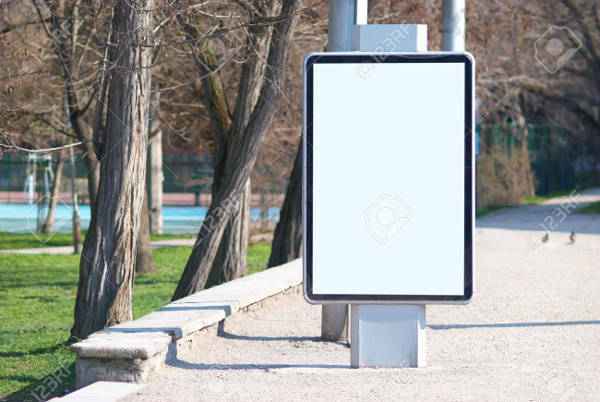 Billboards contain brief messages and one effective way of getting people to pay attention is through a thought provoking phrase or caption. A thought provoking message is an effective way for people to remember and discuss to others. These Billboard Advertising digital scale model can help you visualize the placement of our advertising material or you may use it as a billboard approach on your website or any traffic sites. It is highly important for it can predict effectivity and clarity. So, download any of these printable files you think is appropriate for your advertising campaign and you can thank us later.